Year 5 showed some super stamina competing in this term’s tribal event this morning! 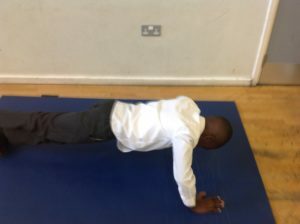 After organising the children into their tribes, Lewis timed them for 30 seconds whilst they completed as many push ups as possible. Quite a few achieved some impressive numbers! Well done to Megan who still participated by doing star jumps.